With the start of the new year we are welcoming new artists to Gray Area: our 2019.1 Incubator Cohort. The Incubator Program is an opportunity to develop a creative project within a supportive community of peers. Artists share a workspace, participate in peer critiques, present at an artist salon, and showcase their works at the culmination of the program. 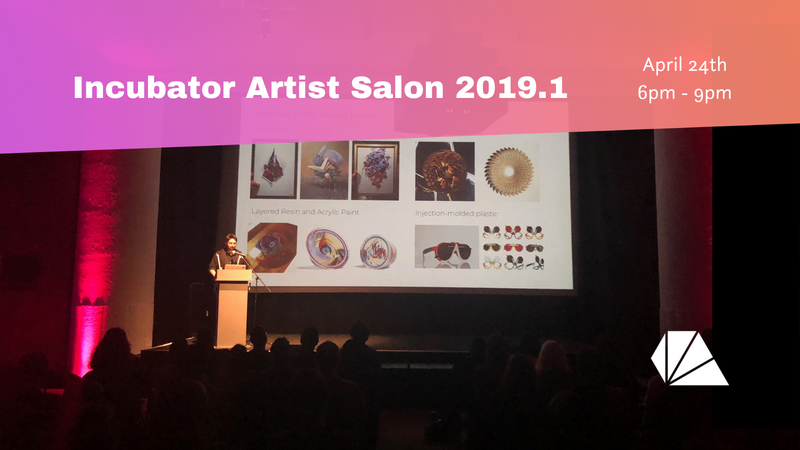 Join us on April 24th from 6–9pm for the Gray Area Incubator Artist Salon 2019.1. 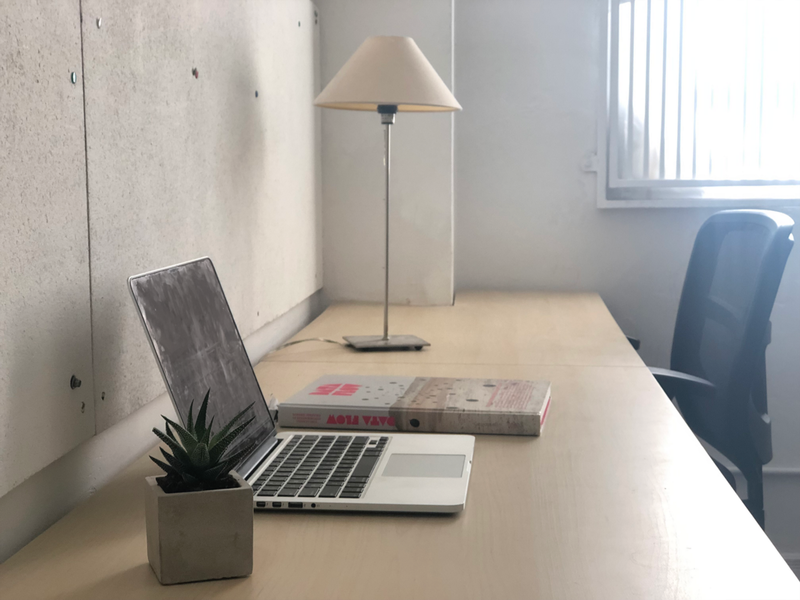 During the salon, select members of our 2019.1 Incubator cohort will share their projects in development and we invite you to contribute your feedback! 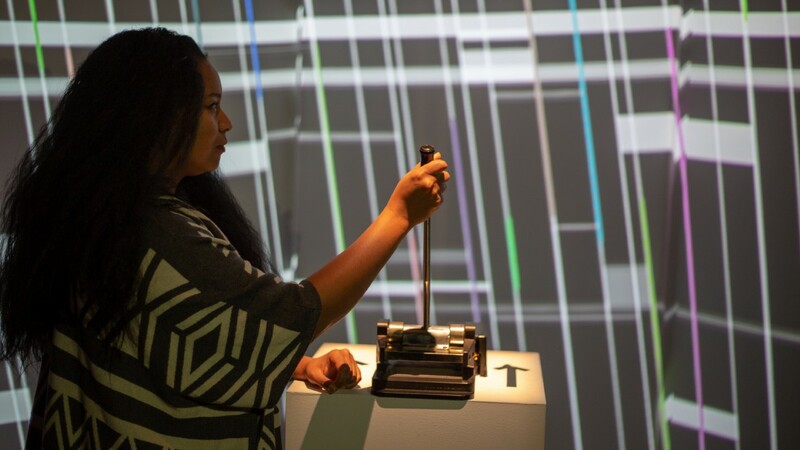 Incubator projects explore the intersection of art, technology and social critique. Each artist will present their work in a TED talk style with a question and answer period from the audience. Register for Tickets Here. 2019.1 Incubator Artists: Anastasia Victor, Andres Cuervo, Ari Kalinowski, Brooke Keller, Jacob Sperber, Joey Larko, Kieran Farr, Marc Schroeder, Ray Mcclure, Ryan Smith, Sean Stillwell, Shihan Zhang, Stephanie Andrews, Stephen Standridge, Steven Piasecki, Trevor Sigler. Want to expand your artistic practice or learn a new technology? We offer a 12 week Creative Code Immersive which begins in April, Public Creative Code Workshops, and Private Workshops for businesses. Do you want to create your own work? We have and a 6 month Individual Incubator Memberships and Studio Memberships. Every one of us is in flowing, continuous conversation with a part of ourselves about who we are at that moment. How we explain ourselves to ourselves can shape our wants, needs, fears, and identity for as long as we’re alive. Mostly, this self-inquisition happens under the floorboards of our perception, but there are some fleeting moments when we have an unusual amount of control over how we relate to ourselves. In these moments, there is growth. Altogether over the course of our lives, this private dialog just might be the longest, most intimate conversation we ever have. Elevator Pitch aims to capture the feeling of raising the unconscious to the conscious. Often familiar, but always upwards. 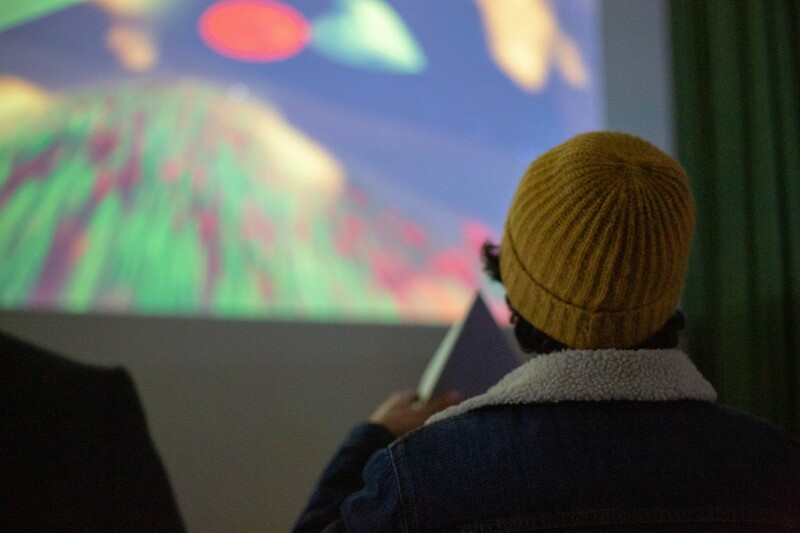 Showcased at Gray Area this past fall, “Missed Messages” (pictured) was a whimsical exploration of human connection mediated through space, time, and technology. It sought to present a different way to send love, care, and vulnerability through the digital divide and into the community — and to encourage the search for bridges through the isolation of being far from family and friends. 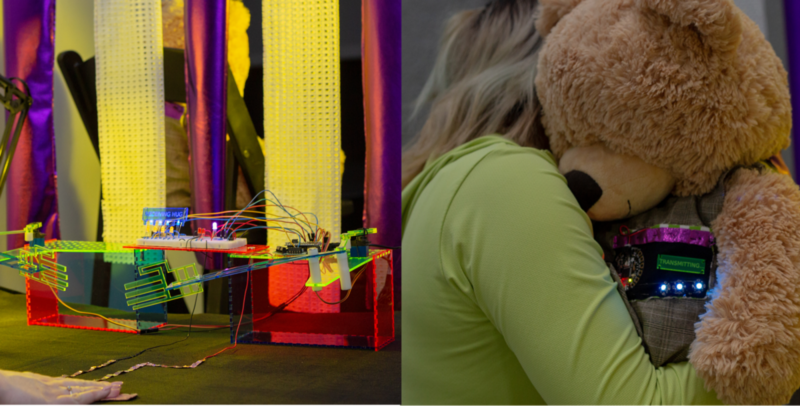 Created with Arduino, this installation consisted of a hug-sensing vest that encoded hugs to later be reproduced by a hugging machine on the other end. 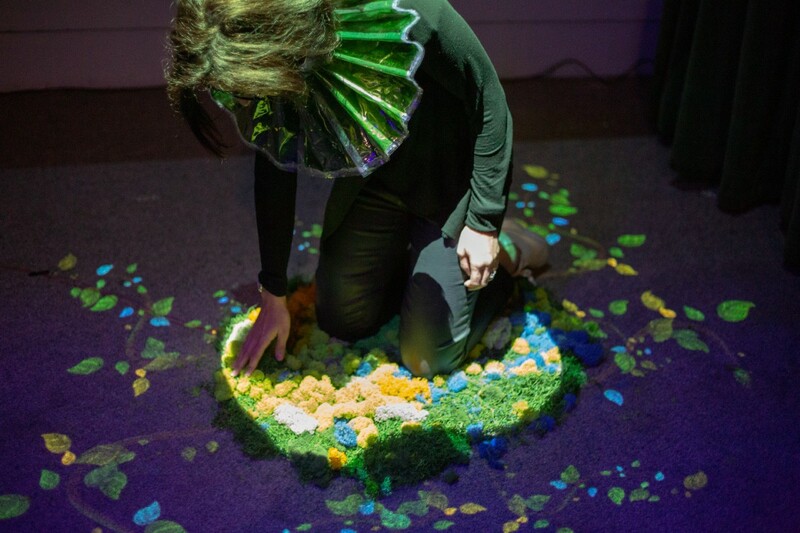 “Empathy Machine” is an upcoming kinetic installation that will continue this inquiry into representations of care in the modern age and the role of machines in fostering more caring spaces. This piece is a collaboration with Gel Pen Collective partner Jimmy Andrews. Starting from the artist’s nature and insect photography work, Hive brings the method of communication used by bees to a human relatable space. Viewers affect the patterns and sounds that are around them by their movement through the space, much in the same way that bees use dance to communicate the location of flowers that are nearby. 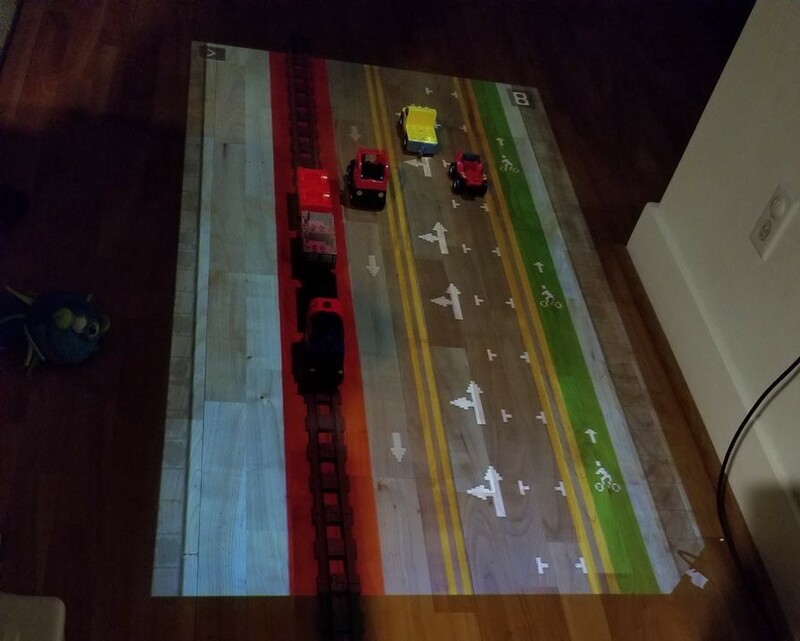 Magic Matta is an interactive experience to explore transportation and urban planning by encouraging kid-friendly play using the HTC Vive, projection mapping, A-Frame WebXR, and specially enabled toys. Moving toy cars, busses, trains, buildings and other interactive toys around the play area will change the land and streetscape allowing for urban planning experimentation while being distracted by fun. 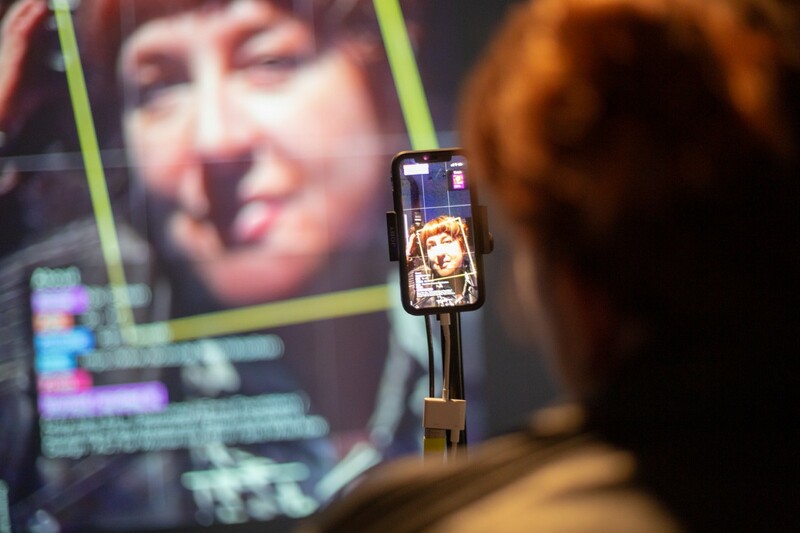 Face2Face v2.0 is a mobile, Augmented Reality application that offers users a glimpse into a speculative future, where interpersonal interactions are mediated by realtime facial detection and analysis. The piece was created using Unity, ARKit, Facebook data scraping and Amazon Rekognition — a detection tool used by an increasing number police departments across the country for surveillance. It is the second of series of works titled ‘Training Sets’ by artist Anastasia Victor, which takes a critical position on the use of facial detection and analysis. Screens are everywhere: on our wrists, in our pockets, in nearly every office, on the sides of buildings . We even make very tiny screens & put them close to our eyes to create the illusion of giant, immersive displays — we call it virtual reality. Screens have facilitated a lot of my work as a VR & AR artist, and for that I am grateful, but it got me thinking: what would screenless technology look like? 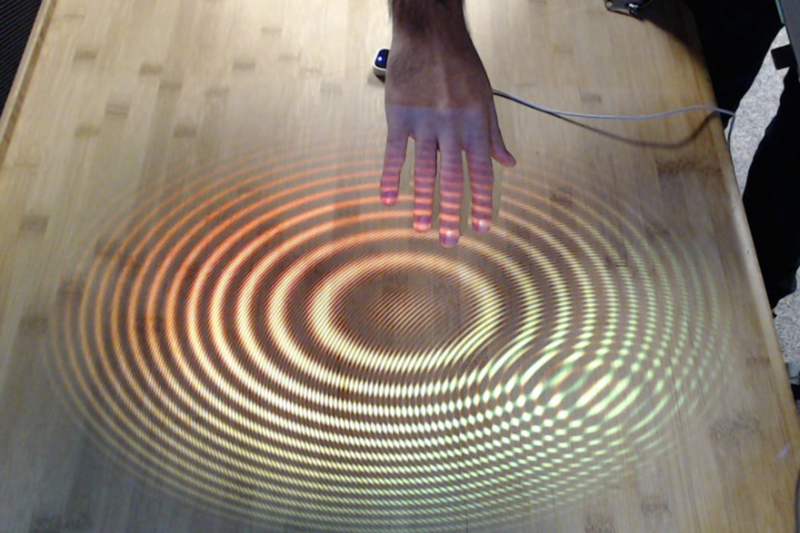 Lace is a system for interacting with virtual objects using written language, gestures, and doodles. You’ll be able to view it on a website or iPad, but Lace is best viewed in the real world: interacting with a webcam and projector setup, Lace will allow your real-world drawings to interact with digital objects. The Light Atlas is a 40-stanza poem about the Bay Area, detailing the takeover of the technology industry, its impact on housing as well as present and future displacement resistance. The Light Atlas is composed of remixed fragments of twitter, testimonies of eviction collected by the Anti Eviction Mapping Project, excerpts of books, collaborations with bots, observations from protests and speculative narrative. Inferno uses a tetrahedron controller and projected visuals to challenge the viewer’s sense of alignment. 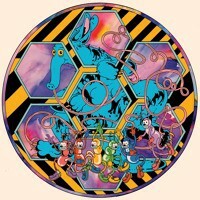 The visuals of the piece cycle between a foggy evergreen forest to a blazing inferno in response to the viewer’s actions. 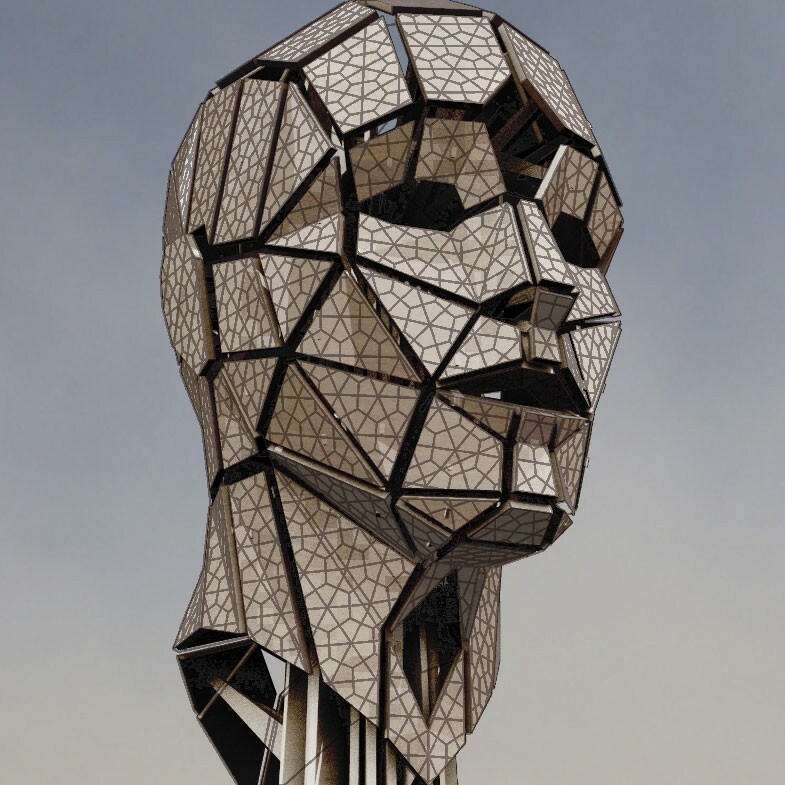 The piece consists of a 2-dimensional projection and a 3-dimensional tetrahedron controller. 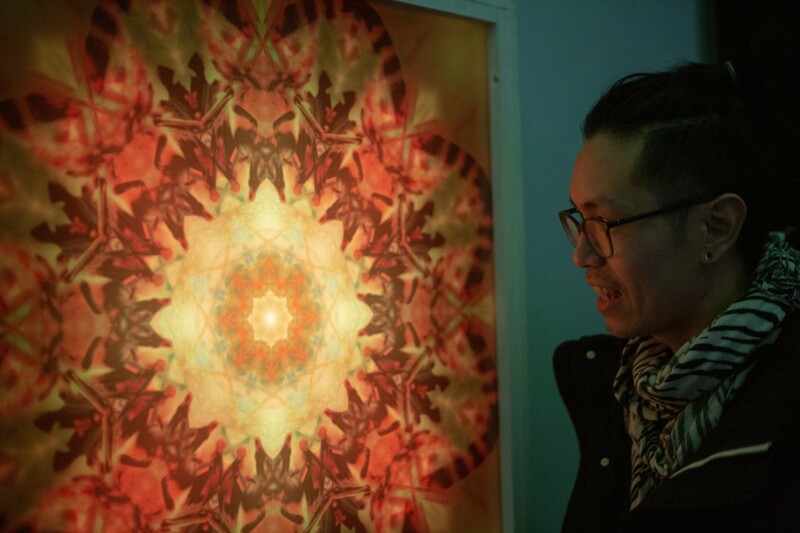 The viewer uses the tetrahedron to orient the piece in the digital space. In 2045, carbon sustainability has become a value system and individuals pay every gram of carbon dioxide they emit, including: transportation, food consumption, and breathing. People start embracing new symbiotic lifestyles with plants (algae and moss) to gain carbon credits for carbon emission expense and take responsibility for reversing global warming. Dreamboat builds experiences — some real, some virtual — that draw people closer together. 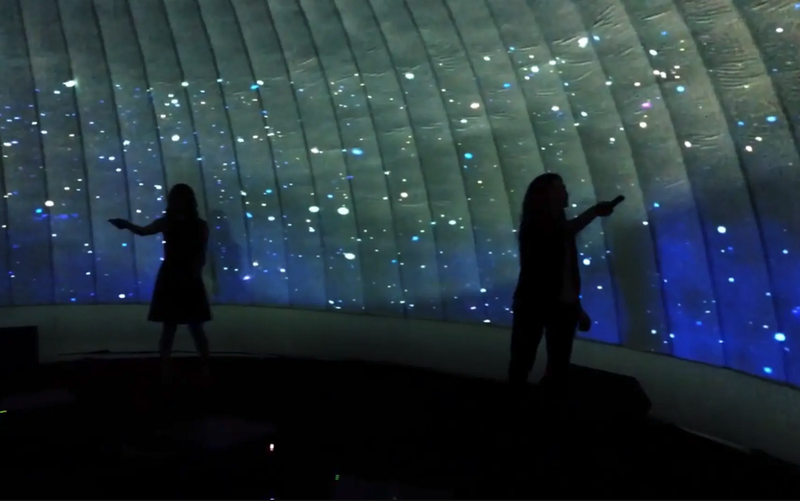 Their projects transform through light, sound, touch, and technology to immerse the guests in new worlds, imparting a feeling of wonder. Members: Ray McClure, Casey McGonagle, Adam Rugel, Megan Cytron. Crowbar Corner is an electronic music production studio with high end monitoring, I/O and a unique collection of instruments both vintage and modern. Members: Ryan Smith, Jacob Sperber, Trevor Sigler, Joel Larko, and Brooke Keller. Need your own space to create amidst a thriving arts community? Gray Area Studio Memberships offer just that. Apply Here.